Paradise Village at Zion, a master planned vacation resort community, was voted 2016 Best in State and is located in Santa Clara UT. It is home to some of the most beautiful vacation rentals, second homes and even primary residents in the area! These aren’t just your regular resort style homes though, enjoy arcade games, Jacuzzi’s, views and even green space. You will only be minutes from Tuacahn and about a 45-minute drive from Zion National Park! Firstly, the views are unreal at the Paradise Village at Zion community. 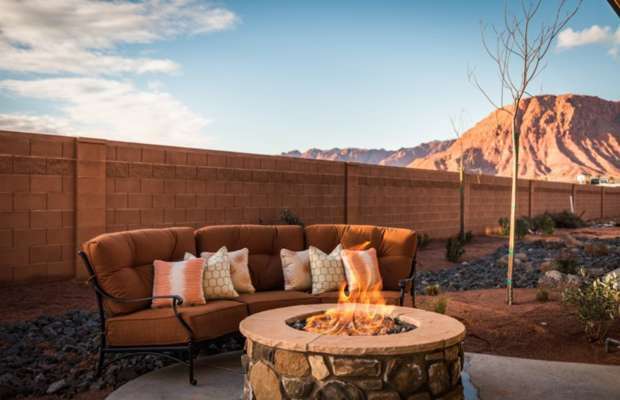 The majestic mountains of Snow Canyon State Park, Red Cliffs preserve and Red Mountain surround this incredible 25.5-acre area property as well as the lush ground on the property. 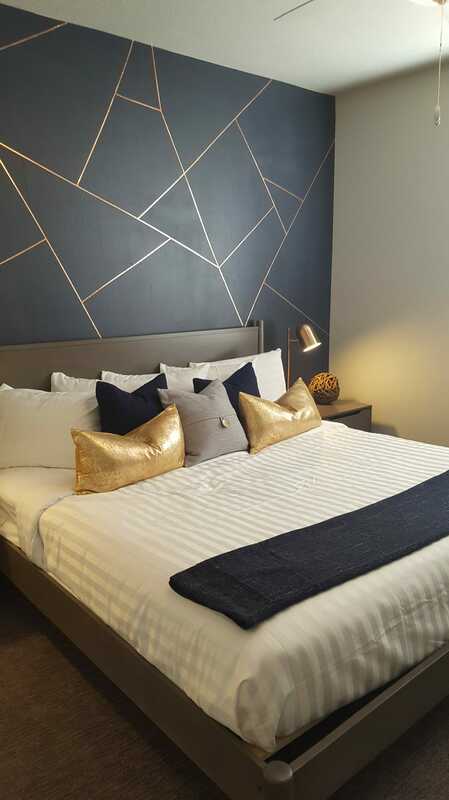 Each home is equipped with modern technology, comfortable beds, and beautiful decor. All the homes are immaculate inside and out. Not to mention the vast amenities. Most of the homes come equipped what a hot tub on the balcony or backyard and some even have a private swimming pool. 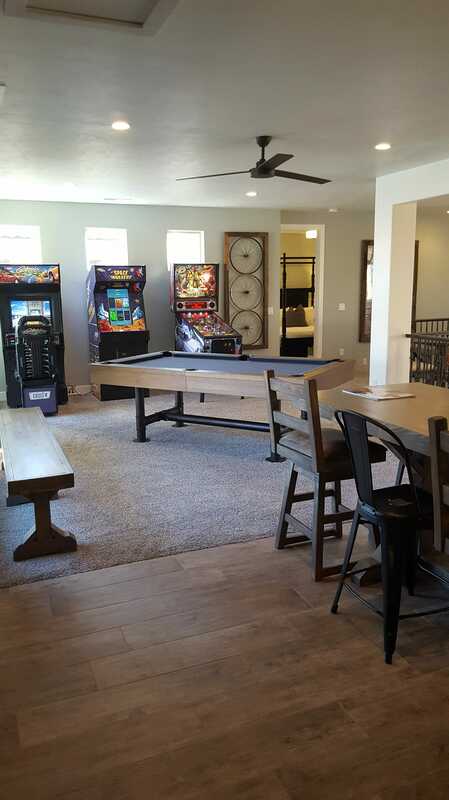 Onsite there are also several pickleball courts, a sand volleyball court, a wonderful palm tree-lined pool area, a very large spa-like hot tub, and clubhouse with a fitness center and lounging areas. There is even a grocery store down the road from the property. All the amenities combined provide a supple resort-like relaxation. Currently, they are working on the finishing stages of a private water park and lazy river. All of this is included with your own private resort style home. Most importantly are the homes themselves! Paradise Village, part of Utah’s Best Vacation Rentals, is the place for vacation rentals, a second home or even a primary residence. They offer a variety of sizes of homes in the community. They are sure to have just the size vacation home you are looking for right here in Southern Utah. Southern Utahs Best Vacation rentals have homes from 1-bedroom to 9-bedroom. The smallest home offered is a 1 bed/1 bath spacious Casita, that comfortably sleeps two guests. If you’ve got up to 24 in your group, the 6 bedrooms, 8 bathrooms, a double-decked house will be perfect. With the largest home having 9 bedrooms I am sure they could accommodate almost any size party! Paradise Village is the place for any occasion. Paradise Village is on the outskirts of Saint George about 10 minutes northwest in the city of Santa Clara, UT. A 5-mile radius accesses historical downtown Santa Clara, Snow Canyon State Park, and the world-renowned Tuacahn Amphitheater. Tuacahn amphitheater is a fantastic venue to be able to take in a Broadway show with the red rock beauty surrounding you. There is also backyard access to bike paths, underground lava tubes near and numerous hiking trails. Take a short 5-minute walk and you are at Gubler Park. Gubler Park has Baseball fields, playgrounds, pickleball courts, and even a splash pad! Not to mention its only about a 45-minute to Zion National Park. Due to the location of this property, you are in solitude but still close to everything. Above all, Utah’s Best Vacation Rentals provides all the pricing, sizing and booking abilities you will need for your next getaway! Booking online is simple and fast. Not tech savvy? Give them a call to book and ask any questions. ATV & Jeep Adventure Tours is proud to say we are partners with some of the best vacation rentals in Southern Utah. Furthermore, don’t forget to mention your stay at Paradise Village and receive discounts on Tuacahn tickets as well as a discount on your next adventure tour with ATV and Jeep Adventure Tours.